Cats is coming back to Broadway this summer. Even the article announcing the news wondered why. When the show originally opened, the Great White Way was struggling. 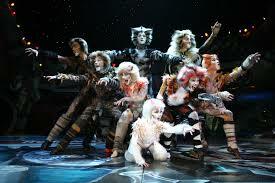 Cats helped revive the musical and Broadway. I think the current generation is okay experiencing this show elsewhere. This entry was posted in Animals, Broadway, Commentary, Entertainment, Humor, Music, New York City, theater and tagged animals, Broadway, Cats musical, commentary, entertainment, Great White Way, Humor, Music, musical, New York City, theater. Bookmark the permalink.